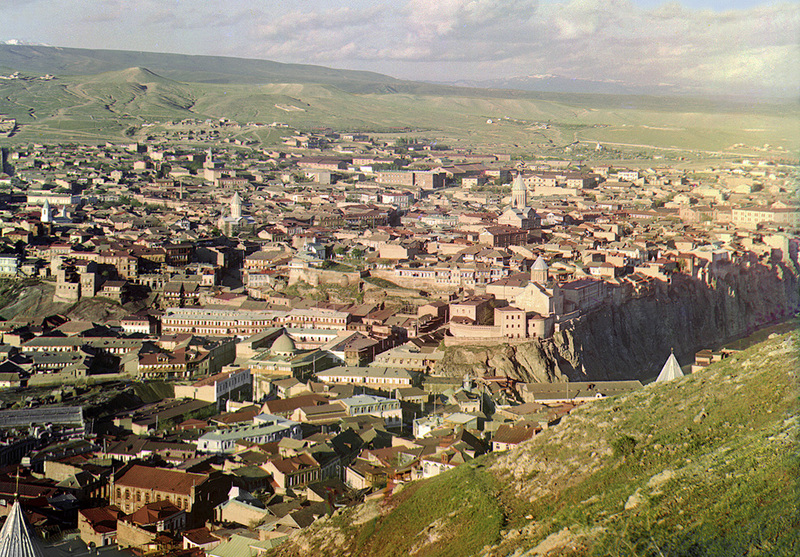 Ever wondered how the Russian Empire of the 20th century would have looked if color photography was invented during the 20th century? Would there have been any difference in its depiction, details or the story that the existing black and white pictures must have tried to convey? Think no more. 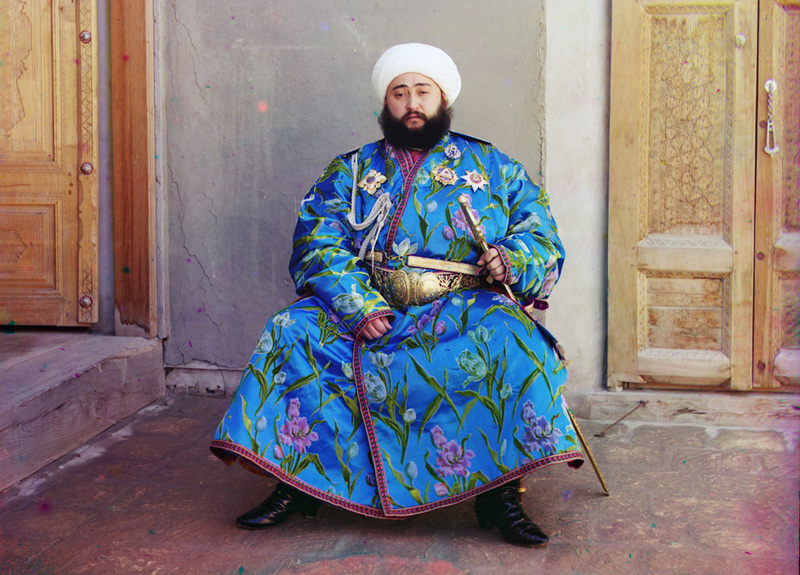 Introducing Sergey Mikhaylovich Prokudin-Gorsky (August 30, 1863 – September 27, 1944), a Russian chemist and a photographer who was renowned for his work in color photography of early 20th-century Russia. Why are we talking about him? 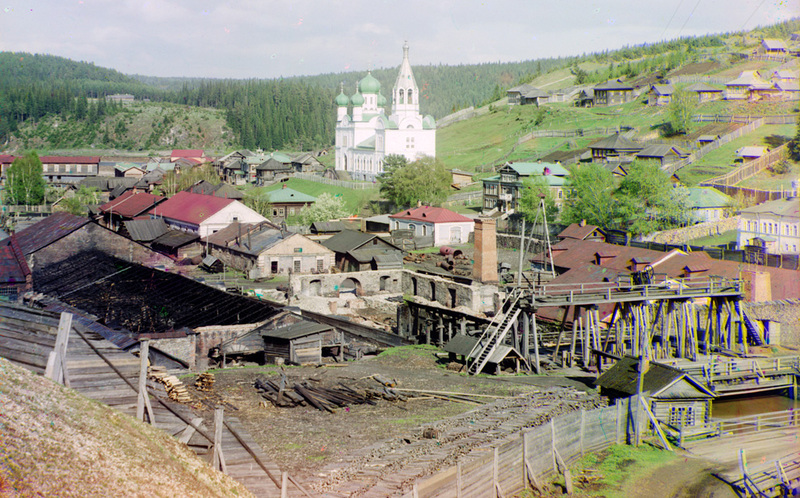 Well, around 1905, when color photography was still taking baby steps which would have eventually revolutionized the world, Prokudin-Gorsky thought and formulated a plan to use the emerging technology in a way different from the rest. 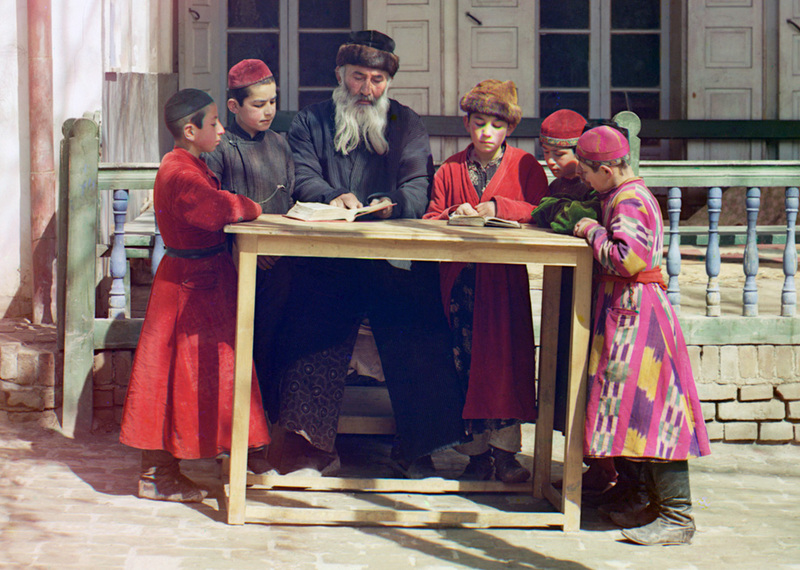 The technique employed by Prokudin-Gorsky involved creating color images by exposing one oblong glass plate three times, in rapid succession, through three different color filters: red, green and blue (RGB). He then presented these color images in slides by projecting the three different color images through three different lenses, one on top of another. When the three images were projected in concert, a full color image could be seen. 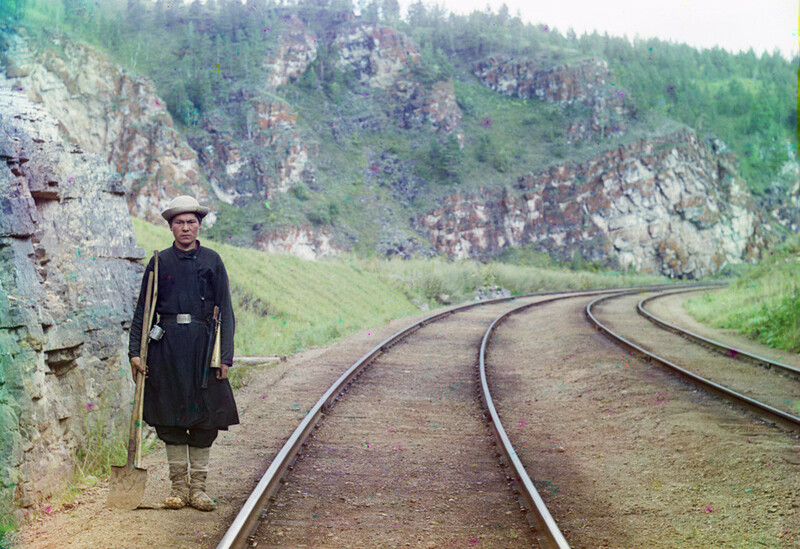 Prokudin-Gorsky was able to accomplish his ambitious project through the help of Tsar Nicholas II who not only provided him with a specially equipped railroad-car darkroom but also gave him possession of two permits that granted Prokudin-Gorsky access to restricted areas. 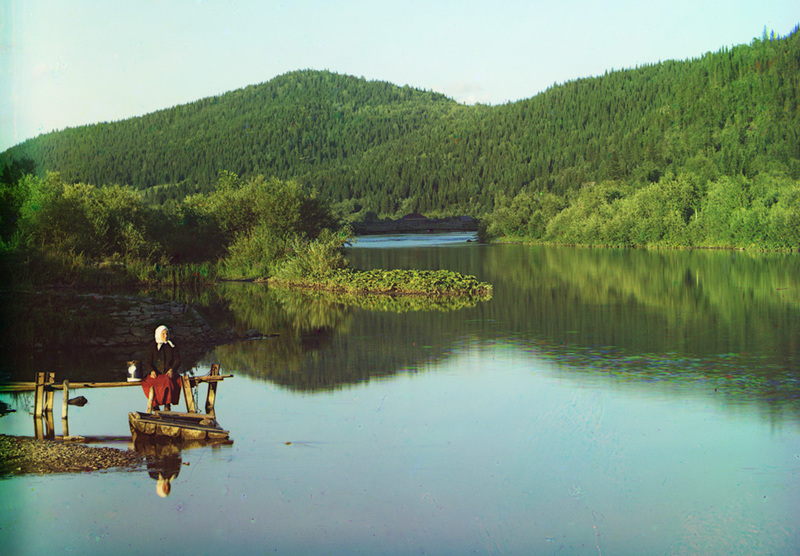 A woman poses for Prokudin-Gorskii on a hillside near Artvin. View of Tiflis (Tblisi), Georgia from the grounds of Saint David Church, ca. 1910. 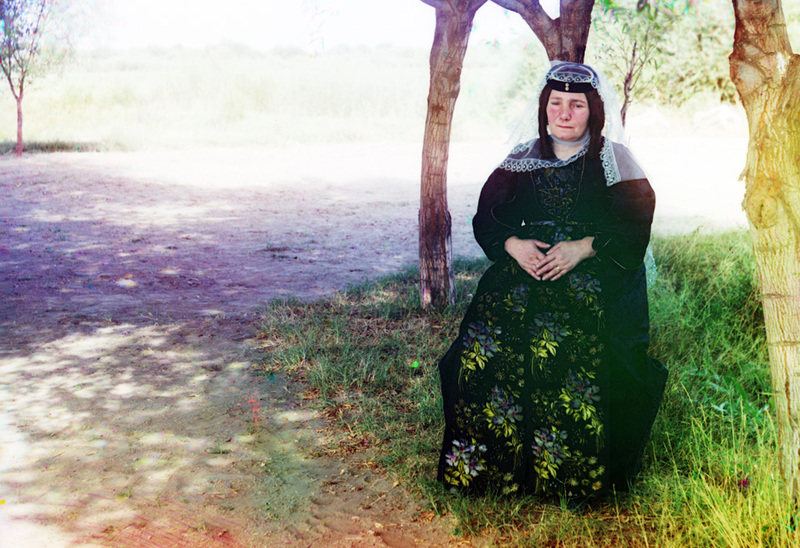 A Georgian woman poses for a photograph, ca. 1910. 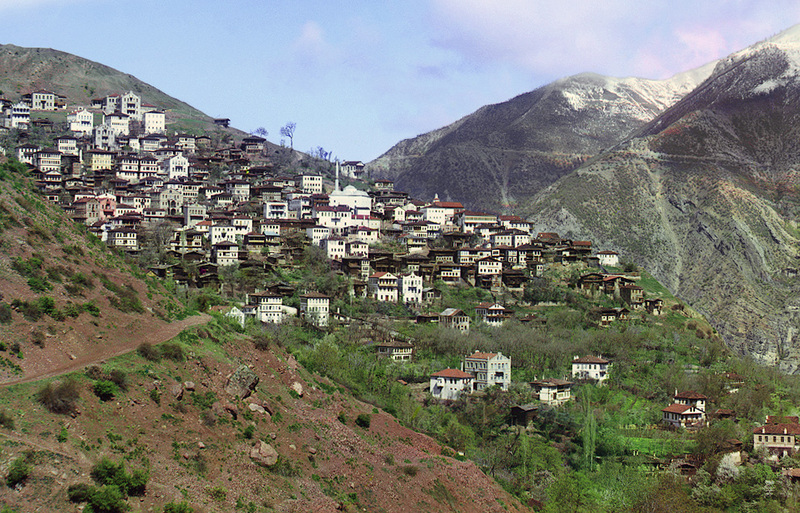 General view of Artvin (now in Turkey) from the small town of Svet, ca. 1910. Peasants harvesting hay in 1909. 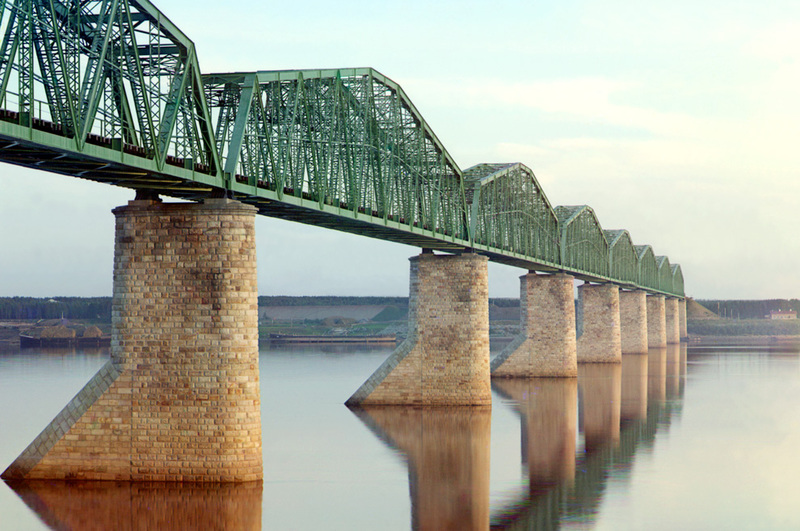 From the album “Views along the Mariinskii Canal and river system, Russian Empire”. 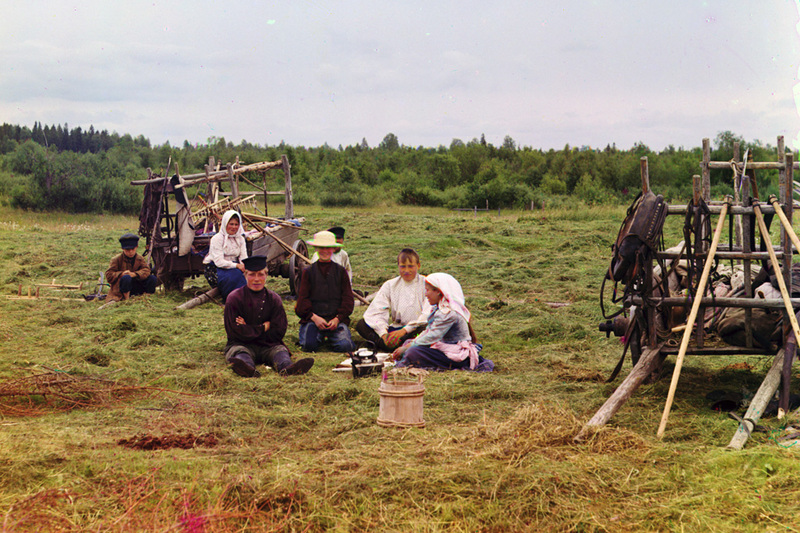 On the handcar outside Petrozavodsk on the Murmansk railway. 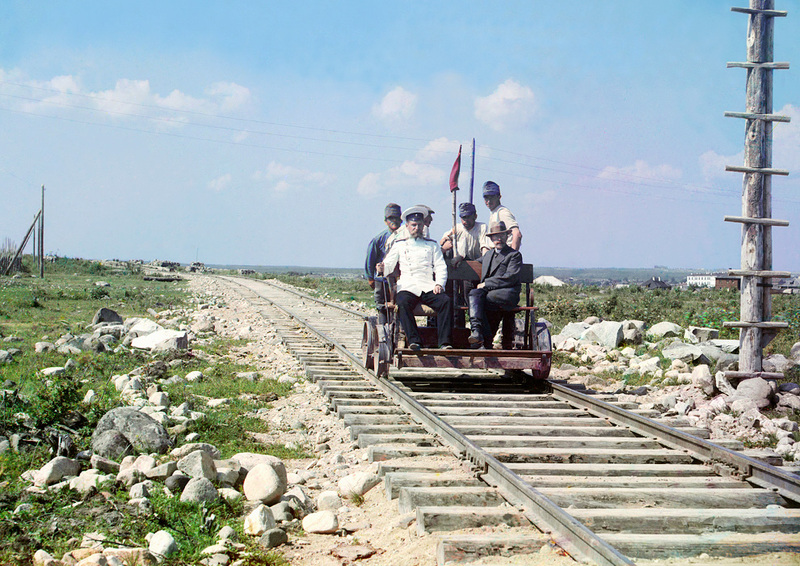 Handcar riding along the Murmansk railroad, on the shore of Lake Onega. Taken in 1915. View of the Nilova Monastery of St. Nil’ on Stolobnyi Island in Lake Seliger in Tver’ Province, northwest of Moscow. Need some time in order to find your lost breath? Sergey Mikhaylovich Prokudin-Gorsky’s ultimate aim through this project was to ‘educate the schoolchildren of Russia with his “optical color projections” of the vast and diverse history, culture, and modernization of the empire.’ Needless to say, his photographs, in the truest sense, represent a Lost World- Russian Empire, much of whose buildings were destroyed in the Bolshevik Revolution. ‘Library of Congress’ purchased the complete canon of Prokudin-Gorskii’s work for $3500–$5000 from his sons in 1948. 150 of his photographs are now on display to the public in Paris’ Zadkine Museum, to commemorate what would have been Prokudin-Gorskii’s 150th birthday. Previous article 10 Well-Preserved Fossils of Extinct Creatures That You Should Be Glad Are Not Alive.